DURABILITY - Strong! One of the most durable rc helicopters. 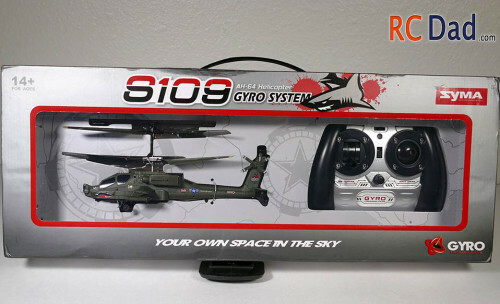 The Syma S109 Apache is a beautifully designed easy to fly helicopter. 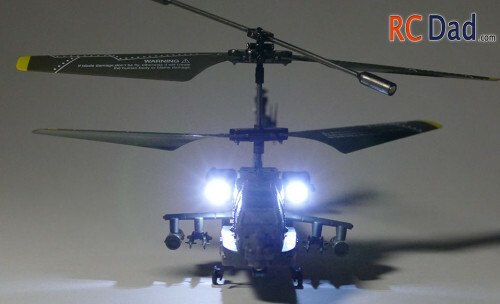 Great for kids and adults, it will impress everyone with it’s scale appearance and attention to detail. Kids will love how easy it is to fly and the two bright LED lights look awesome at night. 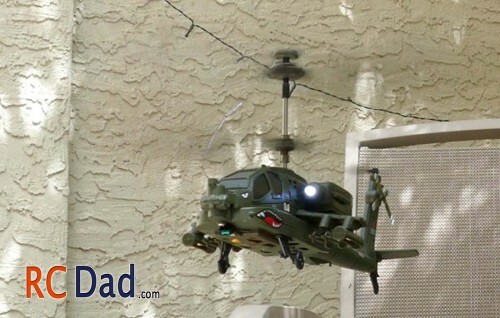 Adults will love how the S109 closely resembles the Apache helicopter. The folding blades minimize damage to the helicopter and objects it hits. If you do end up breaking blades, replacement parts are easy to find! Around 5 minutes. 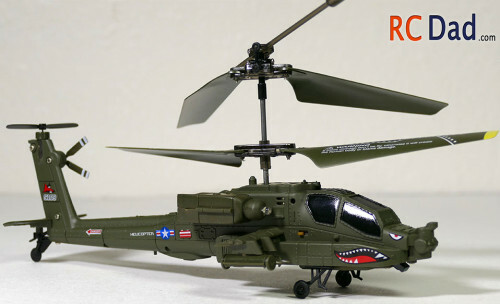 Pretty normal for this style of helicopter. Charging is around 30 minutes. It comes with a USB charger so you will have to plug this into a computer or some other charger with a USB port. This S109 is one of the most durable rc helicopters on the market. It can withstand a lot of abuse from pilots who are learning to fly for the first time. Make sure to inspect the blades to damage and sand down any sharp edges! This will help protect people from getting cut and keep the S109 performing good. 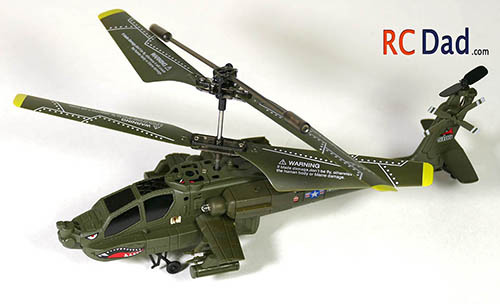 As with all rc helicopters, lower the throttle as fast as possible when you crash. 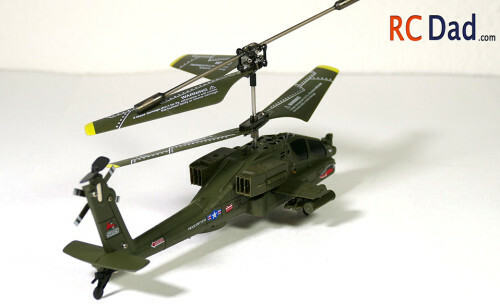 All helicopters have gears that connect the motor to the rotor and when you crash, those gears get put under a lot of stress. And never add throttle when the blades can’t spin freely. 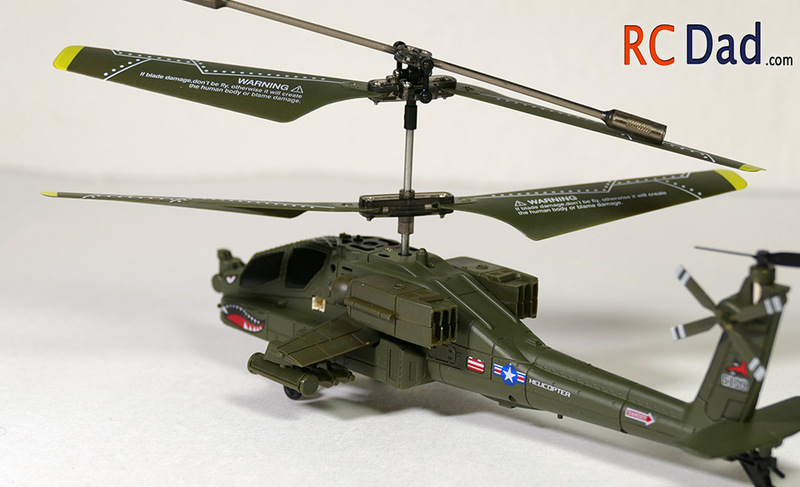 Objects will cause the wind from the blades to blow back at your helicopter making it harder to control. 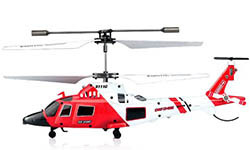 While learning to fly, keep the helicopter in the middle of the room at least 5 feet off the ground until you’re comfortable with the controls. 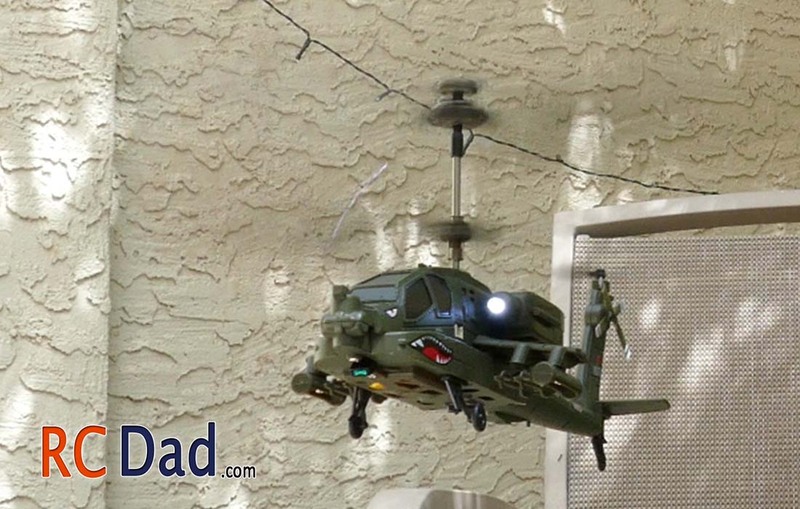 You can fly outside BUT there must be no wind, shade, and the control must be pointed directly at the helicopter. Keep the blades lose. Make sure all blades swing freely to minimize damage and extend the life of the blades. When you receive your helicopter or replace the blades double check to make sure the screws are not over tightened!